Seminar about basic concepts of growing plants, Tokyo. Yamamoto Norihisa - dendrologist of Tokyo Agricultural University, Chair of Ai-Shokubutu landscape planning office and the main landscape designer of famous Tokyo Disneyland. 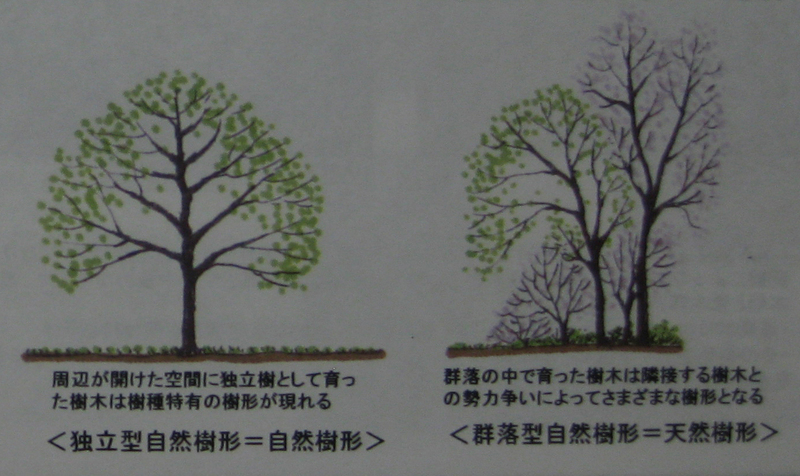 This Monday RJG staff participated in the seminar by Yamamoto Norihisa about basic concepts of growing plants. Let me share in short the main ideas of the event. 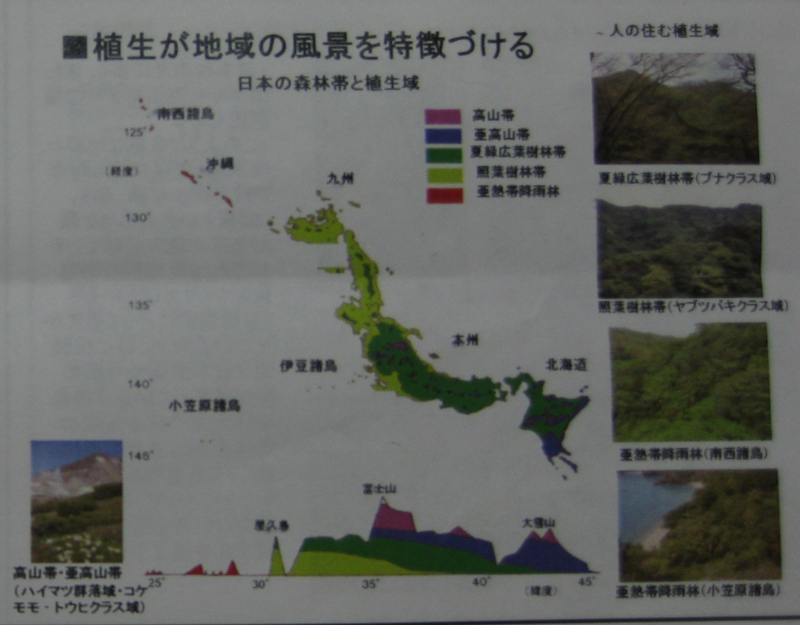 There are plants we can find in mountain area, plain area and in the cities in Japan. Plants have adaptations to help them survive (live and grow) in different areas. Some of them could be used for design of gardens. 2. Japan's monthly blossoms, hanafuda. Seasons are the main theme in the Japanese garden culture. There are 12 main seasonal blossoms in Japan for each month. Hanafuda (花札) are Japanese playing cards (translates as "flower cards"). 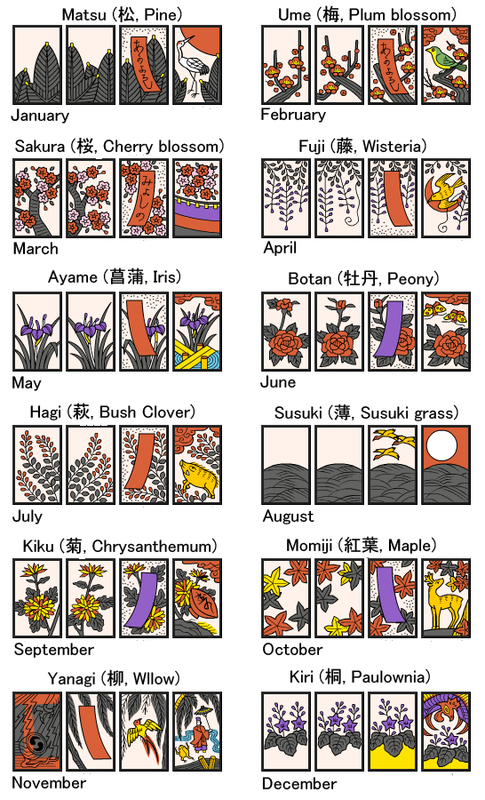 The Hanafuda card deck has twelve suits, each named for a month and an associated flower. Every Japanese garden is always prepared for each season, so every month people can visit gardens and enjoy one of the flowering plants. 3. There are two types of tree shapes we can find: artificial and natural. When we are planning a garden we always need to consider that naturally trees grow with a small group, never alone. 4. Soil structures. Soil structure refers to the soil picgrouping of soil particles (sand, silt, clay,organic matter and fertilizers) into porous compounds.In Japan we mainly can find coarse and clay soil. Coarse textured soils have mainly large particles in between which there are large pores, so the rain or irrigation water enters and moves more easily into larger pores; it takes less time for the water to infiltrate into the soil. On the other hand coarse soil cannot keep water for long time. Clay soils hold on to water for a very long time, therefore, these soils are the most prone to leaving a garden plagued with standing water. The best option to grow healthy plants is to use mixed coarse and clay soil. On 18th of May I participated in the 18th International Roses & Gardening Show. Let me tell you more about this beautiful event. 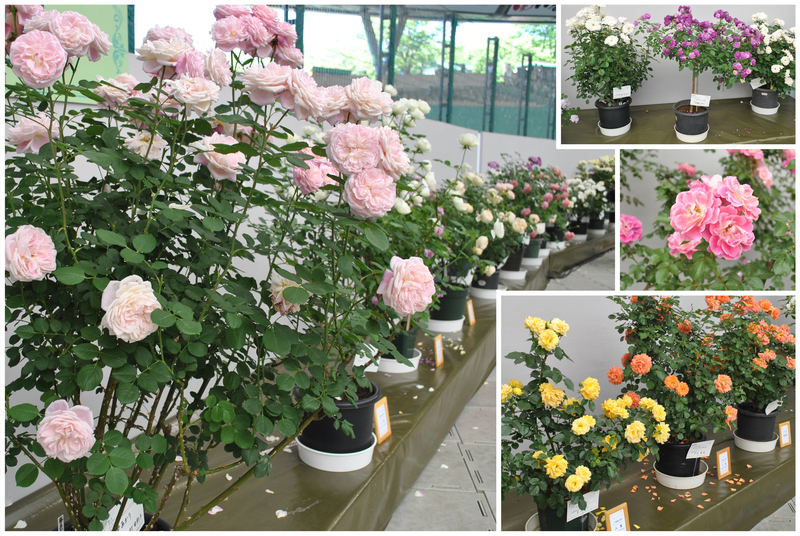 The show has been holding by International Roses & Gardening Organization Committee (Mainichi Newspapers/NHK/Sports Nippon Newspapers) every year since 1999. 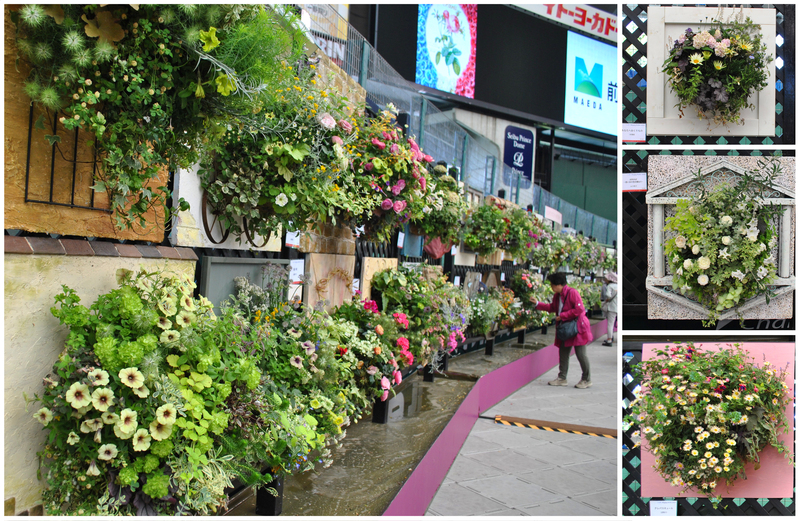 The largest event of its kind in Japan, it showcases roses and beautiful gardening from all around the world. 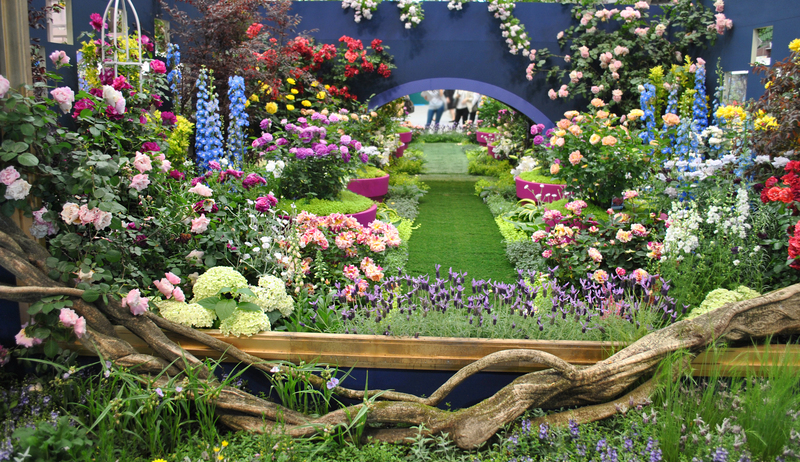 There were presented over 1 million roses and the latest works of garden designers. The show received international recognition as a one-of-a-kind celebration. There were also many events such as gardening markets, special events held on the rose terraces, and rose and gardening contests. 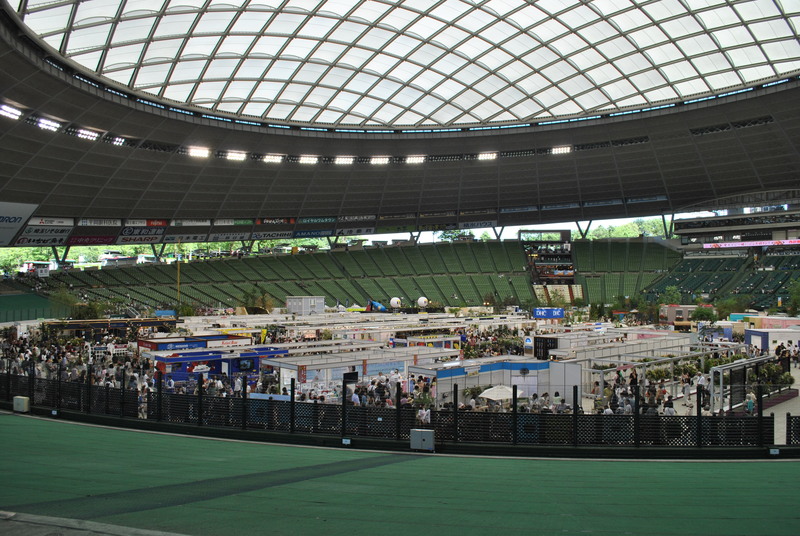 Seibu Dome (Exhibition area), Tokorozawa city, Saitama, Japan. Last week Anika and Aliya participated in Japanese exterior design lesson. The lesson was hold by Furuhashi Norimasa – very talented designer and exterior architect. He is a teacher of Japanese garden design courses in E&P Academy and he also runs his own exterior building company (here is the link: E&P Academy). We have learnt many new things. Let me share with some interesting information! The first part of the lesson Furuhashi-san introduced us “Procreate”- drawing and sketching iPod application - very useful program for architecters and designers. Then he talked about difference between Gaikou (we can translate it to English as building envelope) and Exterior. Gaikou is the physical separator between the interior and the outdoor environment (for example, separation ground from streets, neighbors, other buildings etc.). The main focus is always on functionality. Exterior includes building and design. It is not only functional part but also material coordination, color schemes, textures, contrasts etc. Every customer has his own request and design always should be planned accordingly. 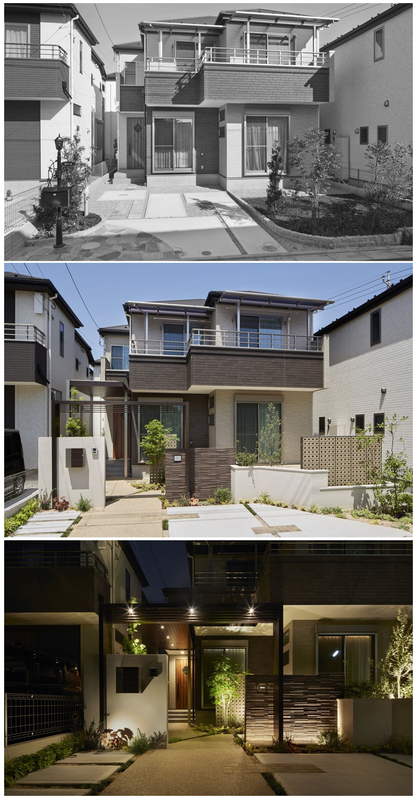 There are three styles currently presented in Japanese exterior designing: open style, closed style and semi-open style. Open style does not include walls to block the view from the street into the garden. Closed style separate the property with walls, fences and the gate from the street and neighbors. Semi-open style is a mix of both. Then Norimasa-san showed us the real examples of his own work. Step by step development of a garden design with terrace and lawn area. Pictures of the house before and after reconstruction.Day and night views.